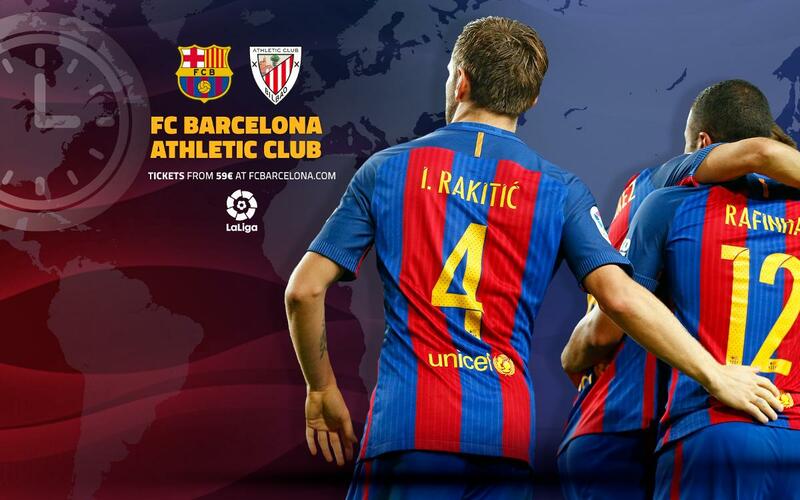 After the massive win at the Calderón in Wednesday’s cup semi-final, FC Barcelona will be back in Liga action on Saturday for what’s a 4.15pm kick-off local time against Athletic Club. But if you’re anywhere other than the Central European Time zone then you’ll need to work out when the game is starting where you are, and that’s where this page will come in very handy indeed! We’ve also got info about the global TV channels that will be screening the game, but if it’s not available in your country or region then there’s no need to panic. We have live English language commentary right here on Ràdio Barça (the link will appear in the www.fcbarcelona.com home page shortly before kick-off) and you can keep an eye on our social networks for constant updates as the action happens at the Camp Nou.